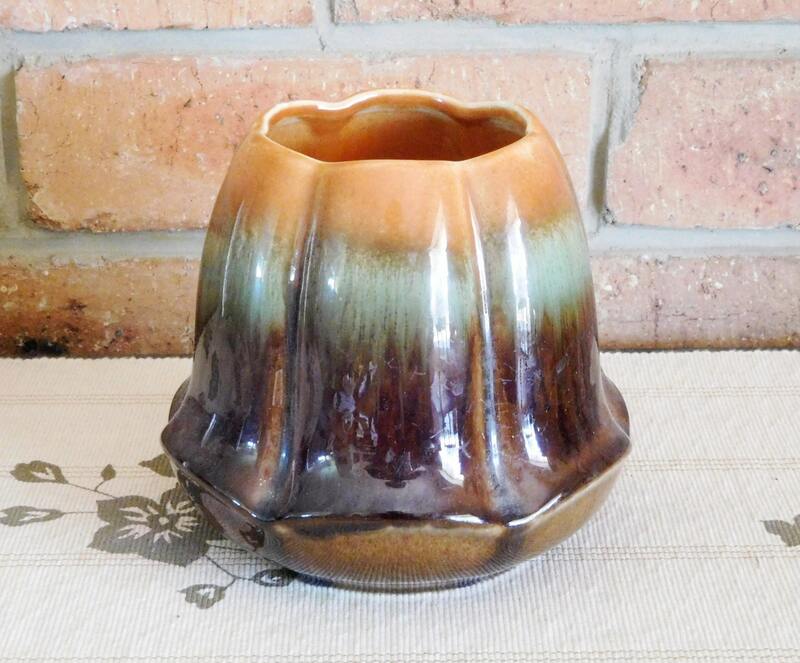 Bakewells Newtone drip glaze Art Deco 1930s squat vase in a very rare shape, in fact we have yet to find another one like it. The vase is in perfect condition with no chips or cracks. It measures just on 14cm tall and 8.5cm across the opening. 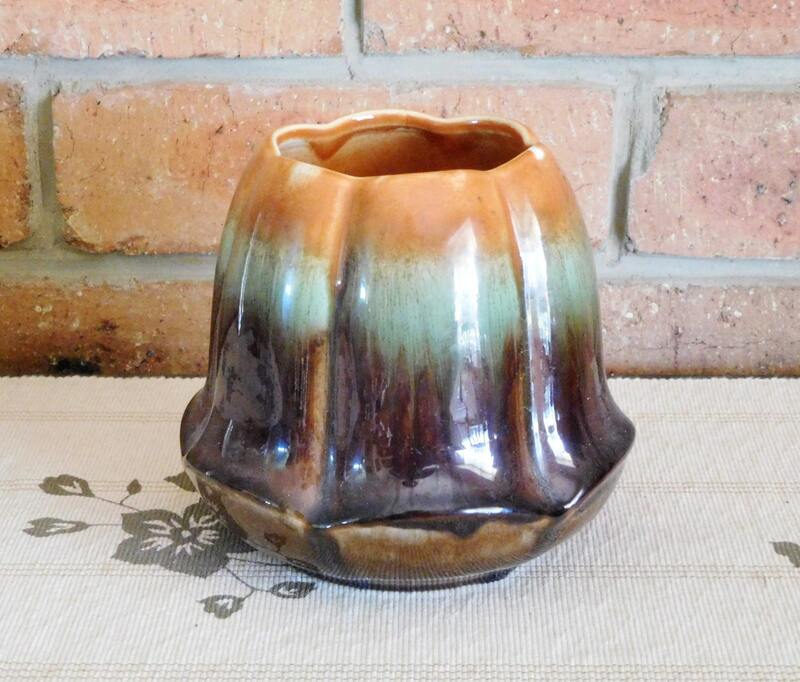 Bakewells was an Australian pottery which started in 1884 at Erskineville near Sydney, reaching their peak in the 1930s with beautiful earthenware pieces such as this lovely item. 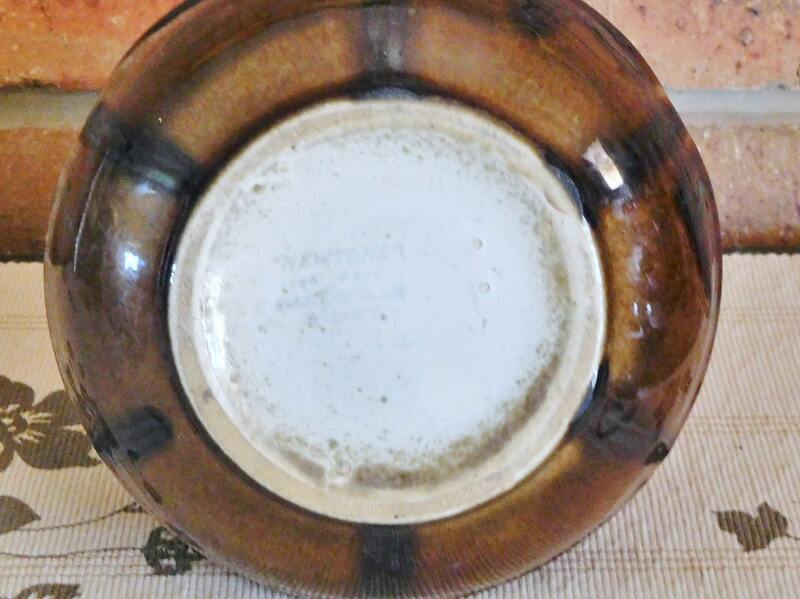 Stunning drip glaze in natural shades make this piece highly desirable and an ideal gift, as it would fit into any decor.